The night is far gone, the day is at hand. Let us then cast off the works of darkness and put on the armor of light. Alain Badiou’s political thought revives the revolutionary aspiration to create the ‘emergence of another humanity’ (Badiou 2007, 10). However, Badiou’s project is not a nostalgic attachment to Leninism; it is a response to Leninism’s failure and a call to experiment beyond the exhausted political forms of the twentieth century. In a recent lecture, ‘Is the Word Communism Forever Doomed?’, Badiou argues that the model of the Leninist party-state is no longer a viable option for composing a ‘new mode of existence’ (Badiou 2008). The emancipatory goals of both Leninism and Maoism were crushed by their institutionalisation in the party-state. Although the following sentence sounds like the start of a bad joke, Mao’s words address the heart of the problem: ‘“Don’t you want to abolish state power?” Yes we do, but not right now’ (Mao 1967, 20). The party-state’s attempt to consolidate the emancipatory aims of the Revolution and speak for the masses, according to Badiou, ‘reveals itself to be an essential corruption’ (Badiou 2003, 39). This paradox finds its clearest expression in the Great Proletarian Cultural Revolution (wuchan jieji wenhua da geming). The Cultural Revolution began with Mao urging the masses to overthrow the hierarchies of state bureaucracy, factory management, and educational elitism; this explosion of democratic energy, however, was constrained by Mao’s unchallenged sovereign authority. The paradox is Mao’s desire for an acephalous, egalitarian, and fully politicised society with Mao serving as its head. In this essay, I argue that the internal contradictions of Maoist politics are a problem of political theology. The party-state’s claim to ‘serve the people’ (wei renmin fuwu) elevates it to the role of divinity and transforms citizens into religious communicants. The religious process wherein the state separates itself from the people (in the guise of unity) and promises them salvation is poignantly described by Geremie Barmé: ‘When people despaired in their own lives they thought of Mao and believed that if only he knew what was happening to them the situation would be set straight’ (Barmé 1996, 24). Driving Badiou’s re-envisioning of the new man is the problem of how to free revolutionary politics from theology. Throughout his work, Badiou borrows theological concepts for their political force while methodically draining their religious content. For Badiou, the new man must have the conviction and faith of a militant apart from the sanctuary of the party. The question is: are revolutionary politics devoid of theology possible? Can emancipatory projects ‘change the human being in what is most profound’ without being viewed as sacred (Badiou 2006a, 291)? To answer these questions I use Badiou’s conceptual framework to analyse the Chinese Revolution. Religion can be defined as that which removes things, places, animals, or people from common use and transfers them to a separate sphere. Not only is there no religion without separation, but every separation also contains or preserves within itself a genuinely religious core. Carl Schmitt’s influential work Political Theology defines political theology as the recognition that secular political institutions and concepts are theological in disguise. In Schmitt’s analysis, secular politics disavow their theological nature; religion is a private choice for liberalism and an illusion for Marx. By contrast, Schmitt proposes that theology is alive in the institutional structures and concepts of secular politics. My project of applying Schmitt’s concept of political theology to Chinese Maoism is likely to be greeted with the objection that I am imposing Western Christianity on Chinese culture, religion, and history, or worse, inadvertently reproducing the imperialism of Christian missionaries within Chinese history. However, Schmitt does not define political theology as a matter of historical inheritance, but rather as a formal resemblance. While Maoist politics are undoubtedly not Christian in historical lineage, inspiration, or ideology, I contend that they contain what Schmitt called ‘reminiscences of theology’ in their conceptual formulation and institutional implementation (Schmitt 2005, 38). The failures of Maoism to overcome theology haunt the pages of Badiou’s texts as he struggles to envision a new form of emancipatory politics. I identify two major ‘reminiscences’ shared between revolutionary politics and theology: sovereignty and scripture. The sine qua non of political theology is the existence of a centre as both a monopoly of physical power and moral legitimacy, ‘the point from which everything emanates and to which everything returns’ (Schmitt 2005, 49). For Schmitt, the political sovereign is structurally akin to God by occupying a ‘transcendence vis-à-vis the world’ (Schmitt 2005, 49). On one side, there is God the sovereign creator; on the other side, there is what Saint Paul poetically described as the ‘whole of creation groaning in labor pains’ (Wayne and Fitzgerald 2007, Romans 8:22), waiting for redemption. Mao was acutely aware of this theological divide’s reproduction within representative politics and one can understand the Maoist ‘mass-line’ (qunzhong luxian) as an attempt to suture the gap between heaven and earth, rulers and ruled. The people would be the source of their own redemption—contingent on the Leninist assumption that the masses are given unity through the Party. ‘We must preserve and work unceasingly, and we too, will touch God’s heart. Our God is none other than the masses of the Chinese people’ (Mao 1967, 114). The irony of the Cultural Revolution is that Mao’s attempt to democratise power and smash hierarchy resulted in widening the religious divide between himself and the people. Mao’s divine aura induced religious euphoria in even the most radical of Red Guards. After traveling in a train from Chengdu to Beijing, overflowing with people, to witness Mao wave from the lofty balcony of Tiananmen, a young Red Guard exclaimed: ‘You wouldn’t believe the excitement that the Great Leader had generated. . . . Our adrenaline was running high. Many of us lost our voices and couldn’t talk for several days afterward. We were so euphoric, happy, and blissful’ (Liao 2008, 201). Mao paradoxically wanted to preserve and overcome the theological elevation of the state above the people. The state’s asymmetrical relation to the people structures it along political-theological lines. Consequently, Badiou submits that the state is by its very nature inhospitable to emancipatory politics, which must operate at a distance from it in order to return power to the people existing at its margins. ‘From then on, the dead God’s spectral authority, which can always criminally bind itself to the megalomaniacal scraps of the State, remains without influence and without effects on the minds’ (Badiou 2006b, 31). Schmitt defines scripture as a set of ‘positive revelations and directives’ for interpretation and action, mentioning jurisprudence as a form of scriptural exegesis (Schmitt 2005, 38). The crucial point is that scripture provides the epistemic boundaries beyond which the world no longer makes sense. Mao’s writings, especially during the Yan’an period, are a paramount example of scripture. According to David Apter and Tony Saich, members of the Yan’an base camp engaged in daily study sessions and interpretative debates over Mao’s texts, experiencing a sense of ‘exegetical bonding’, which created a ‘discourse community’ (Apter and Saich 1994, xvi). Mao’s discourse provided narrative coherence to the chaos, destruction, and suffering of the preceding decades of China’s history. In Mao’s words: China’s one hundred years of humiliation began with the Opium Wars in 1839 with China as ‘the sick man of Asia’; China’s humiliation intensified by numerous military defeats to imperial powers and onerous treaties; after the collapse of the Qing dynasty, the once great empire of China fragmented into warlordism, criminal banditry, and violence; Japanese invasion and occupation during World War II dealt the final blow. While this account is factually correct, Mao embellishes it in a grander mythic narrative as the ‘displacement of the peasant from the land and community; the decentring of China and its replacement by outside forces; [and] dismemberment and loss of imperial control’(Apter and Saich 1994, 72). This explanation visibly demarcates the task of revolutionary politics: to redeem the dismembered body of the Chinese nation. The paradox of the Chinese Revolution can be explained as a struggle over how the anatomy of this body is constructed: with Mao at the head or as an acephalous composition of the people. The point here is that a disintegrating world was imbued with meaning and coherence through Maoist scripture. Members of the base camp explained their life histories as personalised variations of Mao’s metanarrative, confirming the validity of Maoist scripture as well as their own dignity as participants in a larger Truth (Apter and Saich 1994, 144). The astonishing fact that even after catastrophes such as the Great Leap Famine (da yuejin), most Chinese people still believed in the moral integrity of the Chinese Communist Party, and their promise of redemption, demonstrates above all else the power of faith: ‘We must have faith in the masses and we must have faith in the Party. These are the two cardinal principles. If we doubt these principles, we shall accomplish nothing’ (Mao 1967, 2). Badiou’s vision of emancipatory politics is the creation of a new political subjectivity that avoids the temptation of theology. The divine aura of Mao and political theological power of the party-state transferred power away from the people. Consequently, emancipatory politics requires rupturing the sovereign centre of the state. Discussing Nietzsche, Badiou writes, ‘What is the overman? Simply man without God. Man as he is thinkable outside of any relation to the divine’ (Badiou 2007, 168). This sentence can be seamlessly translated into Badiou’s political thought: what is the political militant? Simply a subject pursuing politics without the legitimacy of the party. Political egalitarianism as it is thinkable outside of any relation to the state. For Badiou, the political militant must also renounce the temptations of scripture, which inexorably reconstitutes a messianic centre. ‘Even the subjective universe of politics is constantly invested with a melancholic resignation whose heart is tantamount to a vague awaiting for a return of sense’ (Badiou 2006b, 29). That the political militant must learn how to live and act without a redemptive narrative is emphasised in Badiou’s conclusion to Saint Paul: ‘All in all, it is about finishing up with promises’ (Badiou 2003, 96), namely, the promise that someone will come and save us. Conversely, politics is always a matter of saving oneself through forming a collective community with others. Badiou’s politics lives on the side of the people, whereas theology is that which separates the people from its power. Consequently, Badiou attempts to dismantle political theology in order to wrest power away from its theological concentration and democratise it. However, the procedure of disarticulating the political from the theological is complicated by Badiou’s refashioning of theological concepts into his own conceptual apparatus. Badiou’s defines the emancipatory event as a secular version of revelation, translates the Christian concept of agape into a means of ‘restoring the universal to its pure secularity, here and now’ (Badiou 2003, 5), and elevates fidelity to the core of political militancy. Badiou submits these theological concepts entirely to the service of secular, emancipatory politics, as he meticulously attempts to prevent a sacralisation of politics. 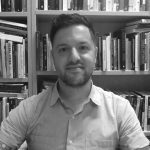 However, when we examine the history of Maoism, Badiou’s ability to accomplish a clean break between the political and theological is substantially called into question. aAnd if I’ve found a sorrowful purity again in loving the world, mine is nothing but love, naked love without any future. Badiou defines the event as creating a ‘new assemblage of life and death’ (Badiou 2003, 88). In Badiou’s terms, life and death are not physiological categories but subjective modes of being in the world. This penetrates to the heart of political theology, since a subject’s orientation toward life or death depends upon the location of power. When a person lacks power and her identity is determined by contemporary conventions and priorities, she is on the side of death; conversely, reclaiming power, she ‘rediscovers the living unity of thinking and doing’ (Badiou 2003, 88), resulting in a situation in which the ‘dead returns to the place of life’ (Badiou 2003, 87). Fundamentally, the event is that which frees the subject from the deadening nature of repetition and creates what Eric Santner describes as ‘genuine changes of direction in life’ (Žižek, Santner and Reinhard 2005, 110). Badiou’s provocative example of a world-shattering event is Saint Paul. Before Saint Paul was struck by revelation on the road to Damascus, he was Paul of Tarsus, a Roman citizen persecuting Christians, armed with the law as the power of death over life. The event of Christ’s resurrection unbinds Paul from the power of the law and supplies him with the power to travel across the Roman Empire, preaching the Christian message of love, charity, and new life: ‘Therefore, if anyone is in Christ, he is a new creation; the old has passed away, behold, the new has come’ (Wayne and Fitzgerald 2007, 2 Corinthians 5:17). The event on the road to Damascus transforms Paul of Tarsus into Saint Paul the militant of Christ. Badiou’s dismissal of the resurrection as an empty fable means that his choice of Saint Paul as a model is only explicable in the context of his project to translate the power of theology into the realm of emancipatory politics. Cast in this light, Badiou demands nothing other than the creation of ‘new assemblages of life and death’ without recourse to religious fables. A politicised Paul, wrested from the theologians, is at the heart of Badiou’s critique of liberal democracy as a perpetuation of political theology in which power is concentrated at the level of the state. The force of Badiou’s critical engagement with liberal democracy rests on his understanding of the Pauline distinction between life and death as subjective orientations. According to Badiou, democracy can be conceptually divided into a formal statist democracy and a ‘dimension of collective freedom which subtracts itself from the normative consensus that surrounds the State’ (Badiou 2005, 85). The formal model of democracy organises the consensus around which moribund repetition circulates (Badiou 2005, 78). The democracy of collective freedom is composed of citizens, rupturing that consensus, as they seize power from its concentration in the state. For Badiou, the conceptual distinction between democracy qua state power and democracy qua an active citizenry is a matter of life and death, in the Pauline sense. The state form of democracy orients individuals ‘on the path of death’ (Badiou 2003, 82). The power of citizens is limited to intermittent electoral participation and interest articulation. The liberal democratic citizen lacks the substantive power of engaging in crucial decisions concerning the functioning of the economy and foreign relations; the nerve centres of global capital and military intervention are insulated within the state apparatus from democratic seizure. This powerlessness produces a citizenry that vacillates between apathy and messianism, in both cases paralysed on ‘the side of death’ (Badiou 2003, 82). Apathy is the longue durée of political time in which citizens sink into the complacency of their own powerlessness; messianism is ephemeral hope, sparked by elections, that change is possible. In neither case is power transferred from the state to the people. The perpetuation of the status quo is a result of the fact that to challenge consensus is to risk marginalisation, ridicule, and abuse: ‘Any subjectivity suspected of not being a democrat [in the first sense of the term] is regarded as pathological’ (Badiou 2005, 78). Opposing this sclerotic form of liberal democracy, Badiou offers a Pauline vision of democracy. A Pauline militant faces the hardships of challenging the dominant values of one’s time. Writing from prison, Paul describes his mission as one of ‘danger in the city, danger in the wilderness, danger at sea, danger from false brethren; in toil and hardship, through many a sleepless night, in hunger and thirst, often without food, in cold and exposure’ (Wayne and Fitzgerald 2007, 2 Corinthians 11:26). Contrary to postmodernism’s aestheticisation of democracy as a matter of play, the democratic transformation of power relations requires a willingness to endure suffering. As Mao Zedong bluntly stated, ‘a revolution is not a dinner party’ (Mao 1971, 30). However, democratising power relations is never (solely) a matter of negation; it is also a matter of creation. For Badiou, the creative passion to democratise power is found in Paul’s concept of agape or love. According to Badiou, when a subject ‘discovers the living unity of thinking and doing. This recovery turns life itself into a universal law. . . . This is what Paul calls love’ (Badiou 2003, 88). The emancipatory event, which shatters our former individuality and reconnects us to the power of life, also produces in us a generosity and love for the world. This is Badiou’s most startling idea: love is indispensable for democracy. Badiou’s reference to agape harbours no trace of sentimentality or romanticism; Pauline love is power. In Badiou’s philosophy, love without power would not be love since it would be unable to transform the individual into a subject. Whereas the individual is obsessed mainly with private concerns, the subject is exposed to the midst of life through the universality of the event. Without power, love is a private vanity. The emptiness of ‘love without power’ explains Badiou’s polemic against ‘mere humanitarian prattle’ (Badiou 2001, 33) as perversely reaffirming the divide between privileged and poor (rather than dismantling it). Powerless love splits the universality of man in two: ‘On the side of the victims, the haggard animal exposed on television screens. On the side of the benefactors, conscience and the imperative to intervene’ (Badiou 2001, 13). Only a subject like Saint Paul, willing to abandon the protection of the law and privileges of his Roman citizenship, is able to proudly proclaim: ‘We have become, and are now, as the refuse of the world, the offscouring of all things’ (Wayne and Fitzgerald 2007, 2 Corinthians 4:13). For Badiou, Paul was a true humanitarian. If I speak in tongues of men and of angels but have not love, I am a noisy gong or clanging cymbal. And if I have prophetic powers, and understand all mysteries and all knowledge, and if I have faith, so as to remove mountains, but have not love, I am nothing. If I give away all I have, and if I deliver my body to be burned, but have not love, I gain nothing. (Wayne and Fitzgerald 2007, 2 Corinthians 4:13). Love is the power capable of transforming non-being (death) into being (life). This conversion of death into life is, for Badiou, the practice of democracy. aThe sense of those who observed, as well as those who participated, was that they were sharing in a process as much revelation as revolution, but practical in consequence. Here they found the link between Chinese uniqueness and the larger epic struggles. . . . For out of Mao’s version of Marxism, from the fall to the projected solution, one found a state of grace. After the tragic events of 1989 when the Chinese government crushed the uprising of students and workers in Tiananmen Square, it is unfashionable to speak of the democratic aspects of the Chinese Revolution. However, the frequent claim that the People’s Republic of China is nothing more than a totalitarian state misses what Elizabeth Perry refers to as emancipatory aspects of the Chinese Revolution ‘worth retrieving’ (Perry 2008, 1149). In these emancipatory kernels, we can identify Badiou’s definition of democracy as an ongoing event in which ordinary people reclaim power and transform themselves in the process. This substantive definition of democracy is obscured when we limit our understanding of democracy to Schumpeterian criteria of free and fair contested elections. Following Lisa Wedeen’s example of searching for ‘democratic practices in the absence of democratic institutions’ (Wedeen 2008), I turn to the Chinese Revolution as an eventual site where, according to a Chinese worker, ‘if nothing else, the common people found self-belief’ (Xue 2009). The Chinese Revolution is not a single event uniformly experienced by everyone; it must be disaggregated, pluralised, and localised, both chronologically and spatially, in order to capture how it was experienced in and transformed the particular conditions of people’s lives. Consequently, I will not refer to the Chinese Revolution from the perspective of national development and seizing of state-power. Instead, I will analyse three specific events where a politics of emancipation was practiced in local conditions: the Anyuan Coal Miner’s Strike (1922); the Yan’an base camp period (1937–48); and the Great Proletarian Cultural Revolution (1966–76). However, looking closely at the evental sites of the Chinese Revolution also challenges Badiou’s attempt to eradicate religion from the event. Each event was permeated with political theology in its conditions of emergence and its historical afterlife and dissemination. As a consequence, I contend that Badiou’s definition of the event as purely secular and political is a fantasy of retrieving the emancipatory core of revolutionary politics while avoiding its undesirable consequences. During the early 1920s Anyuan was a large coal-mining town with a population of illiterate workers. When a young Mao Zedong visited the mines in 1921, the miners voiced to Mao an enthusiastic desire for ‘free education’ (Perry 2008, 1151). In response, Mao sent Li Lisan to open a school and hold night classes for Anyuan’s miners. In the fall of 1922, Communist leaders and ordinary workers decided to engage in a non-violent general strike, which shut the mining town down for five days. Remarkably, the strike achieved its goals and ‘brought higher wages, better working conditions, and a guarantee of security and financial backing for the labour union’ and, most importantly, allowed the workers to continue their education (Perry 2008, 1152). Anyuan’s educational initiative and general strike fulfil Badiou’s criteria for an event in which people are subjectively transformed through the claiming of power. Before the opening of the school, Anyuan’s workers were illiterate peasants on the margins of Chinese society; after participating in the educational initiatives, even a Nationalist officer unsympathetic to the Communist project could not help but perceive that, ‘Today when one speaks with an Anyuan worker, everything he says is crystal clear. No longer is he a country bumpkin’ (Perry 2008, 1160). This seizure of speech, or logos, empowered the peasants, who were formerly regarded as labouring animals, by providing them with a sense of human dignity. The evental power of Anyuan is impressively captured in the slogan of the general strike: ‘Once beasts of burden; now we will be human’ (congqian shi niuma; xianzai yao zuoren) (Perry 2008, 1151). The Anyuan miners enact Badiou’s definition of the event as the creation of a ‘subject, which goes beyond the animal’ body (Badiou 2001). What transpired in Anyuan was a form of Pauline salvation, in which death-oriented repetition was converted into genuinely new directions in life. According to Elizabeth Perry, Anyuan’s ‘educational initiative left a lasting impression on the workers whose lives had been transformed by it . . . [a] newfound sense of dignity and respect that the once downtrodden miners enjoyed’ (Perry 2008, 1152). Nonetheless, as Perry also points out, the legacy of Anyuan did not end in the mines, and it is in the dissemination of the Anyuan story that the religious aspect of emancipatory politics resurfaces. Since the Anyuan educational initiative was, at Mao’s urging, organised by the Communist Party, it became interpreted within official revolutionary history as Mao bestowing the gift of education to the people, rather than the people claiming their own right to education. The people whose lives were transformed by the Anyuan event fade into oblivion, as the political theology of Maoism sacralises the event as part of its own scripture. Chairman Mao Goes to Anyuan, a painting by Liu Chunhua. This tension between the emancipatory nature of the event and its sacralisation is crystallised in the history of Liu Chunhua’s famous painting Chairman Mao Goes to Anyuan. The painting depicts Chairman Mao standing on a mountain about to descend to the people; conspicuously absent are the people themselves. Instead, the power of the people is incarnated in Mao’s figure, painted as possessing a divine aura. The origin and history of the painting also contain a religious dimension. 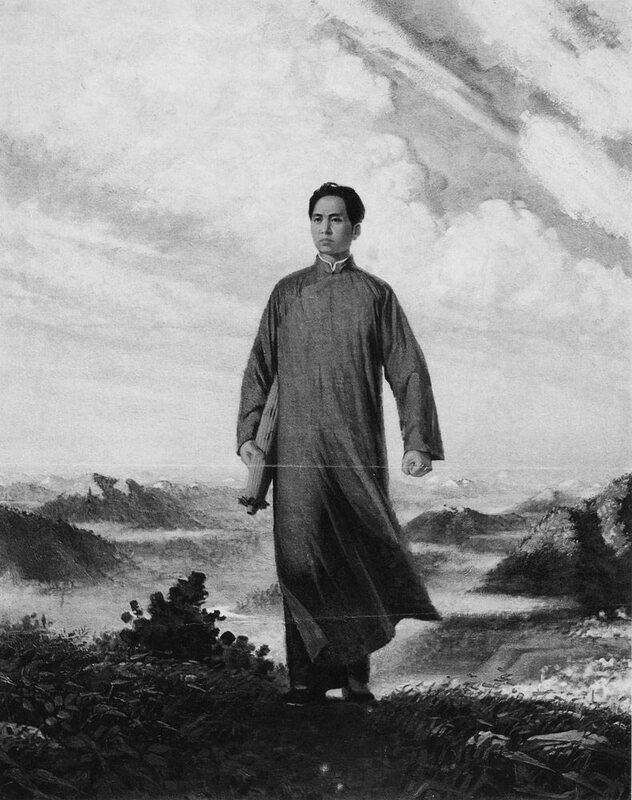 According to Elizabeth Perry, ‘Lin Chunhua indicated that the inspiration for his painting . . . came in part from the religious paintings of Raphael. So sublime was Liu’s image of Mao that a copy of the painting reportedly hung in the Vatican for several months in 1969 under the title Young Chinese Missionary, until someone discovered its true provenance and had it hastily removed’ (Perry 2008, 1153). We should not be surprised that the Great Helmsman was mistaken for a Christian missionary. The Vatican’s attraction to the painting was no historical fluke; it was a Schmittian ‘reminiscence of theology’. This reminiscence is revealed in Liu Dahong’s Spring, which confronts the audience with the religious underside of Lin Chunhua’s Chairman Mao Goes to Anyuan. One could still plausibly defend Lin Chunhua’s painting in secular terms as a depiction of Mao ‘serving the people’, as long as the people’s absence is not mentioned. In Liu Dahong’s version, the implicit message of Lin Chunhua’s painting is rendered visible in a depiction of the people as religious supplicants surrounding Mao, who is adorned with a saintly halo. This is not simply ‘the religious flavor . . . [of] a revisionist rendition’ (Perry 2008, 1160), as Perry describes it, but a direct staging of the obscene truth of the original. In the pairing of these two paintings, Badiou’s desire to insulate the event against religious obscurantism cannot stand up to critical scrutiny. The event loses control over its own interpretation as it is disseminated from its original site. As such, it is always vulnerable to sacralisation. 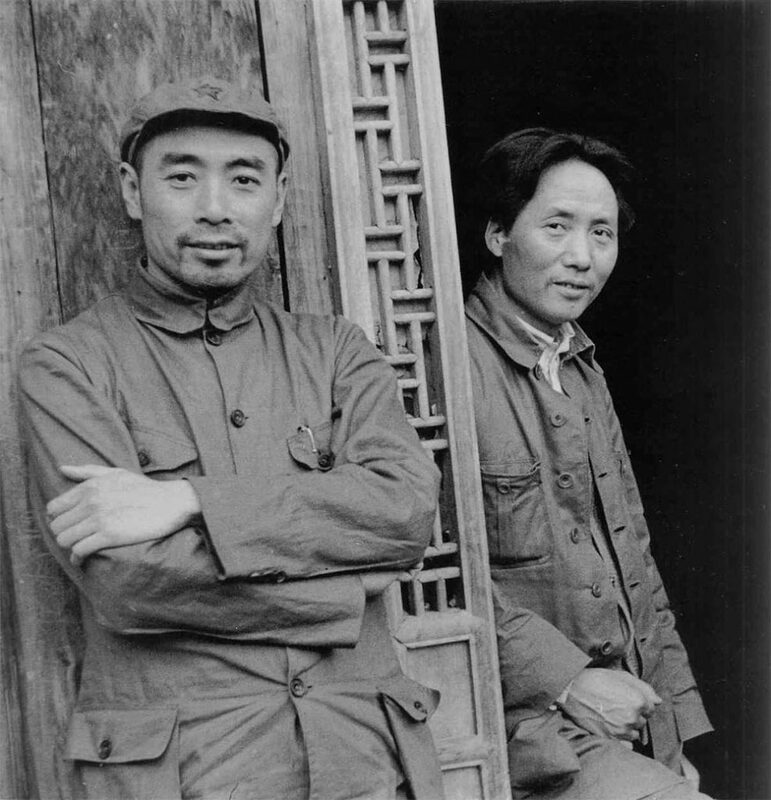 Mao Zedong and Zhou Enlai at Yan’an in the mid-1930s. Describing Yan’an as a site where democracy flourished challenges modern conceptions of democracy because Yan’an was not liberal by any stretch of the imagination. In September 1937, from his cave in Yan’an, Mao famously penned the essay ‘Combat Liberalism’ (fandui ziyouzhuyi), which denounced liberal values as antithetical to the revolution’s egalitarian moral economy (Mao 1971). Similarly, Saint Paul’s fledgling churches on the periphery of the Roman Empire were a far cry from resembling liberal values. The aspirations of liberal individuality are not only absent from Paul’s account of the Christian subject, they are forcefully condemned. ‘For who sees anything different in you? What have you that you did not receive? If then you received it, why do you boast as if it were not a gift?’ (Wayne and Fitzgerald 2007). In both the Pauline and Maoist communities, liberal values were cast aside for the sake of a higher Truth. This does not mean, however, that these communities were not engaged in democratic practices. As Lisa Wedeen proposes in Peripheral Visions, the absence of liberalism erases democracy only if we fail to make the ‘crucial distinction between democratic practices and liberal values’ (Wedeen 2008). Using Badiou’s definition of democratic politics as the declaration of universal equality by the powerless and the production of a ‘space of emancipation subtracted from the consensual figures of the State’ (Badiou 2005), both early Maoist and Pauline communities must be considered democratic. Even though the Chinese Communist Party and the Christian Church would become enormously powerful institutions, it is necessary to realise that from the perspective of the early Communists toiling in dismal living conditions in the remote and impoverished prefecture-level city of Yan’an, and the early Christians who were ‘wasting away in the Eastern Roman Empire’ (Taubes, 2004), persecuted by the Romans, the chances of their universal aspirations surviving and succeeding were infinitesimal. According to Apter and Saichs, ‘In its own time and to most Chinese [Yan’an] was so far from the main centers of China that it was hard to conceive of as more than a place of refuge. Even after its founding few believed it could become a powerful revolutionary center or morally privileged radical community’ (Apter and Saich 1994). The point that both the early Chinese Communists and Christians were marginal communities on the verge of being eradicated must be emphasised in order to appreciate the magnitude of the transformation they accomplished. When Paul writes, ‘For we do not want you to be ignorant, brethren, of the affliction we experienced in Asia; for we were so utterly, unbearably crushed that we despaired of life itself’ (Wayne and Fitzgerald 2007), he is reminding his fellow Christians of the laborious struggle of being a Christian in a hostile environment, and urging them to remain faithful. Moreover, the democratic force of Pauline political thought is that Paul converted this lack of power into a source of strength that was available to everyone: ‘For the sake of Christ, then, I am content with weaknesses, insults, hardships, persecutions, and calamities; for when I am weak, then I am strong!’ (Wayne and Fitzgerald 2007). In conditions of inequality and suffering, Paul’s epistles offered a universal space through which the weak could be transformed into the strong. The early Chinese revolutionaries also faced extinction. Starting with the White Terror in 1927, when the KMT massacred the Communists living in China’s cities, the survival of the Chinese Communist Party was far from certain. Continually forced to flee from persecution by the KMT, the early revolutionaries embarked on the Long March (changzheng) traversing over eight thousand miles of inhospitable mountains and rivers. According to a survivor of the Long March, ‘When we crossed the grasslands, we had nothing to eat. Our dried food was all gone, and we had to pull up grass and eat that. When there really was nothing to eat, we ate leather’ (Xue 2009). When the Communist armies arrived in Yan’an, it is estimated that only seven thousand of originally one hundred thousand soldiers remained alive. ‘Indeed for the Yan’anites, the Long March was as much a miracle as the crossing of the Red Sea was for the Jews’ (Apter and Saich 1994). However, it is precisely in Yan’an, away from the centres of military and economic power, where Mao’s resemblance to Saint Paul is most clear. Like Paul, Mao was a master at converting weakness into strength and loss into victory. For Mao, each defeat in battle and daily hardship was a sign of the Party’s resilience and commitment to transforming China. During Mao’s funeral in 1976, a popular slogan among mourners was: ‘We will turn our grief into strength, live up to your consistent teachings, and always advance valiantly along the revolutionary path you blazed’ (Watson and Rawski 1988). Maoist politics of the Yan’an period were also a politics of universality in which the marginal elements of Chinese society were encouraged to participate. The poor peasants who joined the Red Army were symbolically hailed as the backbone of the revolution. The symbolic elevation of the peasantry was not mere cynical manipulation to create cannon fodder; the base camps in Yan’an set up schools for educating new arrivals in literacy, aesthetics, and Mao Zedong thought. There are even accounts of people learning how to read during the Long March! The Chinese Communists also made ‘the transformation of gender relations part and parcel of the revolutionary enterprise’ (Lin 2006). They eradicated ‘foot-binding, child-bride marriages, and forced widowhood chastity’ even in ‘the remotest rural villages’ (Lin 2006). This occurred mainly after the Communists gained state power in 1949, and it was by no means perfect or complete (reproducing its own set of gender inequalities). Nonetheless, it is necessary to include in our discussion in order to illustrate the universality of Maoist politics as an evental site for the democratisation of power relations. The moral economy of Maoism explains why thousands of men and women left behind their families and risked their lives in order to journey to Yan’an. The language that Yan’an survivors use to describe their experience is precisely Badiou’s language of the event. Apter and Saich summarise their interviews with surviving Yan’anites in the following manner: ‘To get to Yan’an was never easy. For many it represented a profound rupture, a separation, even a transgression of conventional life. . . . It usually meant a break with family, work, school, local authorities, or the GMD [KMT]’ (Apter and Saich 1994). Once in Yan’an, one became ‘in one’s own as well as the eye’s of one’s peers, another person’ (Apter and Saich 1994). However, Yan’an also undermines Badiou’s requirement that the event must be entirely secular. According to Apter and Saich, Yan’an was invested with the divine aura of a ‘New Jerusalem, its inhabitants a “chosen people”’ (Apter and Saich 1994). Moreover, evental sites such as Yan’an and Anyuan were later reified during the government’s Red Tourism Campaign (hongse lüyou) in the 1990s, which urged people to ‘travel to the sacred sites of Mao’s revolution . . . as a vehicle both for promoting state legitimacy and pumping revenues into what remain some of the poorest regions of the Chinese countryside’ (Perry 2008). That the event can become sacred decorations of authoritarian power is an uncomfortable reality that Badiou fails to confront. It is not necessary to travel to the remote regions of Yan’an or Anyuan to witness; it is embalmed in the mausoleum at the heart of Tiananmen. a During the Cultural Revolution, I remember we felt we were invincible and aspired to save the whole world with Communism. I would never have imagined that I could end up like this half a century later. I can’t even save myself. Mao perceived the perils of political theology and aspired, at least in principle, to overcome them by restoring power to the people through the concepts of the ‘mass-line’ and people’s democracy. What clearly undermined this attempt was Mao himself. However much Mao claimed that he wanted to shake up the Party bureaucracy and democratise social relations, Mao was unwilling to relinquish his own power and control over the state. No event in China’s revolutionary history embodied this paradox more than the Cultural Revolution. Slavoj Žižek describes the Cultural Revolution as the ‘paradox . . . of a leader who triggers an uncontrolled upheaval, while trying to exert full personal power—the overlapping of extreme dictatorship and extreme emancipation of the masses’ (Žižek 2008, 206). The failure to solve this paradox destroyed the Chinese revolution’s existence as an emancipatory site. Exhausted with constant political struggle and repulsed by the violent excesses of the Cultural Revolution, the post-Mao Communist leadership began the process of economic opening and reform. The Maoist aspirations of egalitarianism and people’s democracy were abandoned for a retrenchment of state authority in support of economic development. From the perspective of both the Chinese government and Western observers, the Cultural Revolution is a cautionary tale of the violence unleashed by radical politics. It is also dismissed as the cynical manipulation of an aging Mao consolidating his power against intra-party rivals. While both accounts are valid, it was also, in the words of Lin Chun, ‘a democratic revolt against privilege, bureaucracy, and perversions of revolution’ (Lin 2006). To appreciate the depths of the Maoist paradox, one must be aware of the fundamentally democratic explosion of social forces generated by the Cultural Revolution. The political actors of the Cultural Revolution were not only student Red Guards reciting verses from Mao’s Little Red Book; industrial workers started to democratically manage factories and to exercise political authority over their own local municipalities. According to Elizabeth Perry, in Shanghai ‘the worker rebels spoke with a decisive voice in municipal politics. Workers were no longer mere figureheads in showcase people’s congresses, as had been the case for the previous seventeen years’ (Perry and Li 1997). The substantive democratisation of local conditions, the industrial workplace in particular, contrasts sharply with the powerlessness experienced by workers in post-Mao China. In the words of a former Red Guard anxious about losing his job in a state-owned enterprise, ‘I would never have imagined that I could end up like this half a century later. I can’t even save myself’ (Liao 2008). The democratisation of local conditions like Shanghai factories, however, did not transform power relations at the state level; Mao remained the absolute sovereign until his death in 1976. The democratising power of the Cultural Revolution to create an achepalous Leviathan met its ruin in the political theology emanating from its centre. 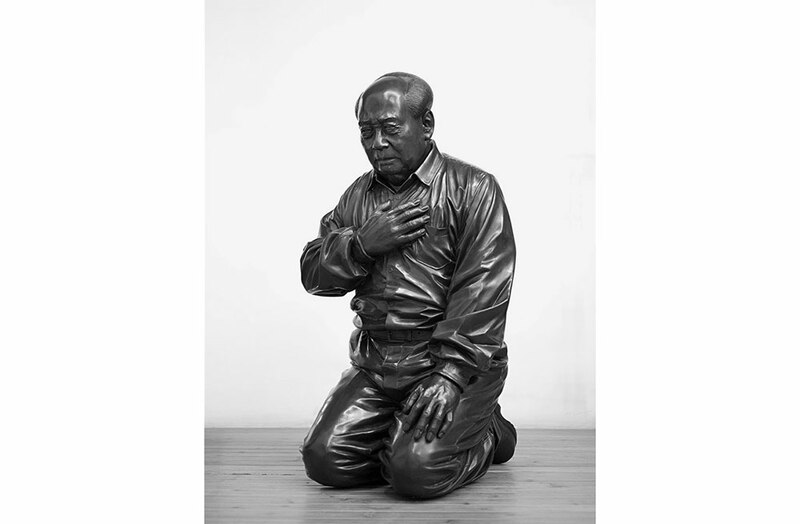 Mao’s Guilt, a statue by the Gao Brothers. This paradox is embodied in the Gao brothers’ life-sized bronze statue Mao’s Guilt. The statue displays a repentant Mao confessing the sins of the Chinese Revolution. The significance of this statue, however, is much deeper than representing a guilt-ridden Mao. To avoid censorship from the Communist authorities, the Gao brothers made Mao’s head detachable, and it is only re-attached to the body during private gallery events. Most of the time, the statue remains headless. In their innovative attempt to avoid government censorship, the Gao brothers expose the heart of Maoist political theology. The contradiction between the emancipatory power of the event and its sacralisation is also staged in the debate over how to handle Mao’s remains. According to Frederic Wakeman Jr., the decision to preserve Mao’s remains and construct a public mausoleum in his honour competed with a desire among the early generation of revolutionaries to be cremated and ‘turn one’s physical remains into ashes’, enforcing a ‘certain egalitarianism’ (Watson and Rawski 1988). In Chinese cultural history, mausoleums were the sacred burial sites for imperial family members, and thus entirely antithetical to Communist values. The decision to immortalise Mao’s body as a site of public devotion represents the final victory of theology over politics. Inscribed on the southern wall is a scriptural benediction: ‘Our great leader and teacher Chairman Mao Zedong: forever eternal without corruption’—effacing the last traces of emancipatory politics (Watson and Rawski 1988). In Badiou’s evaluation of the Cultural Revolution, ‘“Mao” is a name that is intrinsically contradictory in the field of revolutionary politics’ (Badiou 2006a). I suggest that the name ‘Saint Mao’ more precisely captures the paradoxes of political theology at the heart of the Chinese Revolution. This renaming additionally addresses the flaw of Badiou’s attempt to salvage a pure politics from its imbrication with theology. The emancipatory event will always be pulled in the opposing directions of politics and theology; anything else would be miracle. This essay was first published in Telos: Critical Theory of the Contemporary, Summer 2010, pp. 173-191 (doi: 10.3817/0610151173). 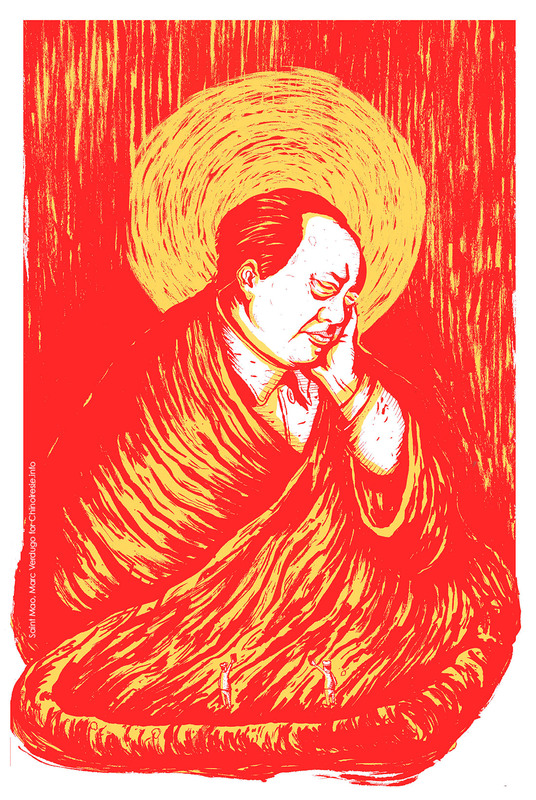 Saint Mao is an original ink illustration created by Marc Verdugo Lopez for Chinoiresie. You can download it as a high resolution file ready for printing from this link.